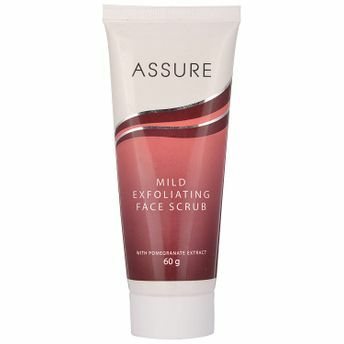 The Assure Exfoliating Face Scrub is a gentle and creamy facial scrub with natural scrub particles that exfoliates dead skin cells to reveal a brighter, clearer and smoother complexion. Enriched with walnut shell powder and wheat germ oil that helps to increase radiance and maintain the youthfulness of the skin. It effectively clears clogged pores without excessively drying out the skin or disturbing the natural moisture balance. About the Brand: Vestige Marketing Pvt. Ltd started its operations in the year 2004 and since then is a leading direct selling company in the world dealing with world class health and personal care products.Vestige is constantly growing at a phenomenal rate year after year. They are constantly expanding their product range and have introduced a couple of innovative products each year. It is an ISO 9001-2015 certified company with over 2000 online and offline sales outlets across India. Explore the entire range of Scrubs & Exfoliators available on Nykaa. Shop more Assure products here.You can browse through the complete world of Assure Scrubs & Exfoliators .